Five Dock is a suburb in the inner-west of Sydney, in the state of New South Wales, Australia. Five Dock is located 10 kilometres west of the Sydney central business district, in the Local Government Area of the City of Canada Bay. NASA image of Sydney Five Dock's borders in red. Five Dock lies roughly at the foot, or southern end, of the Drummoyne peninsula. More precisely, Five Dock lies between Parramatta Road and the City West Link Road to the south and Hen and Chicken Bay, on the Parramatta River, along with the suburbs of Wareemba and Russell Lea, to the north. Its total area is 2.45 km². Rodd Point lies to the east. Haberfield adjoins Five Dock to the south-east. Iron Cove forms a small section of the suburb's eastern boundary. Ashfield and Croydon lie on the other side of Parramatta Road, to the south. The suburbs of Canada Bay and Concord adjoin Five Dock's western boundary. Burwood lies just beyond Croydon, to the south-west. From the heart of the shopping centre, it is approximately 7.5 kilometres to Sydney's central business district, measured in a straight line from the original Sydney General Post Office in Martin Place. By road, this same distance is about 9-10 kilometres, depending on the route taken. Originally, the local post office was called the "Wareemba Locality store", but after the geographical location was changed it was the named to the "Wareemba Post Office"
Relatively little trace of indigenous occupation of the City of Canada Bay area remains today. It is thought that Parramatta Road was gradually constructed over an old Aboriginal pathway, although nothing is left of this. It is known however, that prior to the arrival of the First Fleet in Port Jackson in 1788, the Sydney area was home to indigenous Australians from the Eora group. The word Eora means simply 'the people' and the Eora were divided up into smaller tribes. Eight of these smaller groups have been identified as living along the banks of the Parramatta River. One of these groups, the Wangal (sometimes spelt Wanngal, Wann-gal or Wanegal) people, inhabited a large area on the southern side of the Parramatta River, stretching roughly from Sydney Cove in the east to somewhere around Rosehill in the west. 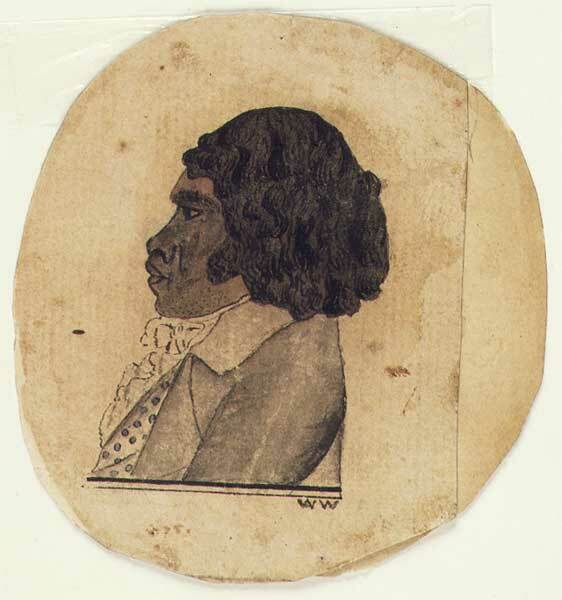 It is believed that Woollarawarre Bennelong was a member of the Wangal clan. Governor Phillip's notes suggest that an outbreak of smallpox in early 1789 would have had a devastating impact on the indigenous population in Canada Bay. Phillip not only recorded that half of the local aboriginal population was estimated to have died from the disease, but he also noted that the Aboriginal people always "retired from where the diseases appeared". The Wangal people are today remembered in local names such the Wangal Bushland Reserve in Mortlake, Wangal Place in Five Dock and the suburb Wareemba. The earliest written reference to Five Dock is in The Sydney Gazette of 3 February 1805, which mentions Five Dock Bay. However, the name probably dates back to the days of the First Settlement. All of the sources referenced are in agreement that it was derived from the shape of the bay along the Parramatta River. It appears that the names Five Docks and Five Dock were initially used interchangeably with the latter eventually became the accepted name. According to a publication from the Maritime Services Board, Port of Sydney, (Volume 9, No 3, September 1965), "At the NE point of the bay there were five water worn indentations that were likened to docks, hence the name Five Dock." There is widely contradictory information, however, about how many of these natural formations still exist. The Maritime Services Board publication concludes that there "are two of the five remaining". However, Eric Russell's Drummoyne: a western suburbs' history from 1794 states that one was lost with the construction of the 1881 Gladesville Bridge, but "the others remain in 1982". Other sources give different numbers again. According to The Book of Sydney Suburbs, "three of them were affected by the construction of the southern approaches to the Gladesville Bridge". The first European exploration of the Canada Bay municipality occurred soon after the arrival of the First Fleet in 1788. This expedition was led by Captain John Hunter of the HMS Sirius and included exploration of Iron Cove, Drummoyne, Five Dock Bay and Hen and Chicken Bay. In the 1790s, following the expedition, there were scattered and irregular efforts to create a settlement on the north-western side of Iron Cove Creek and, later on, along what is now Parramatta Road. On 13 December 1794, Major Francis Grose granted some of the land on the peninsula to privates and NCOs from the New South Wales Corps as farmland. This area, part of the agricultural district of Concord, became known as the District of York Place. However, this attempt to settle the area was largely unsuccessful and most of these grants were subsequently annulled. In 1806, Governor King made a grant of 6 km² of land to John Harris. This grant included the area presently made up of Five Dock, Wareemba, Russell Lea, Rodd Point and Drummoyne. This large property became known as Five Dock Farm. It was never occupied by John Harris despite him having a house built there. Harris nevertheless asserted his rights to the land against squatters and trespassers by placing several warning notices in the Sydney Gazette. The area remained almost untouched for thirty years as a consequence. The earliest local roads were developed by the auctioneer Samuel Lyons, who purchased Five Dock Farm from Harris in 1836. Lyons Road bears his surname today. Lyons soon subdivided the land into 133 lots and sold them at auction. These were 12-24 hectare blocks of land and were generally used for large country-style residences such as Barnstaple Manor. The late 19th century began to see increases in Five Dock's population as the public transport system improved. Ferry services to the area had started operation in 1834. However, ferries were really only useful to those who lived close to the Parramatta River. People living further inland would have been faced with a long walk to Ashfield Station until 1874, when the area began to be served by horse-buses, running along what is now Parramatta Road. Recognised in Sands' Sydney Directory for the first time in 1870, Five Dock was slowly growing in importance. In 1861, the area's first school was opened in the grounds of St Albans Anglican Church. This eventually became Five Dock Public School. New premises for the school were completed in 1876 and classes there began in 1887. After campaigning by local residents, local government was established in Five Dock on 25 July 1871, despite opposition from other locals. The area was linked to Hunters Hill by bridge in 1881 with the construction of the original Gladesville Bridge. The suburb was nevertheless distinctly rural when a steam-powered tramway system, was introduced on 14 October 1890. The new steam tram ran from Leichhardt and terminated at the intersection of Great North Road and Lyons Road. From Leichhardt an electric tram continued to Circular Quay. The tram line was extended from Lyons Road all the way to Abbotsford in 1893. A colourful and lively debate arose in 1921 and 1922 over attempts by local residents to change the suburb's name. Five Dock was variously described in letters to the local newspaper, The Drummoyne Examiner, as a 'horrible name', 'a stigma', 'distasteful', 'very ugly', 'unwholesome', 'peculiar' and giving an 'impression of squalor'. The question of whether the name should be changed was put to the vote in a local referendum on 2 December 1922, with the 'no' vote carrying the day. The pace of change in Five Dock quickened when private bus services started operating there in 1917, until being replaced by public buses in 1933. Further tram services which ran directly to the city centre came into service and more land subdivisions were made. As a result, by the end of the 1920s, Five Dock had largely lost the rural character it had maintained since the beginning of European settlement. It underwent further subdivisions during this decade and many of its brick houses date from this period. Extensive industrial, as well as residential, development took place during the first half of the twentieth century in both Five Dock and Drummoyne. Eventually, as land values increased, industry moved away. In recent years, several large former industrial sites have been redeveloped as residential housing. In the early 1990s, the Locality Store was changed to Wareemba Post Office, to substitute for the new geographical location change. Many Five Dock streets are named after mayors, aldermen and other associated with local government, including Charles Street, Corden Avenue, Henley Marine Drive, Hill Street, Howley Street, Ingham Avenue, Kerin Avenue, McGrath Avenue, McKinnon Avenue, Myler Street, Preston Avenue, Sutton Street, Timbrell Drive, Udall Avenue, West Street and William Street. Another series of streets is named after early landowners, subdividers and prominent local businessmen, including Ramsay Road, Taylor Street, Mitchell Street, Betts Avenue, Friend Avenue, Harris Road, Gildea Avenue and Bennett Avenue. Rickard Street, Noble Street, Heath Street and Augusta Street were named after Sir Arthur Rickard and members of his family. Rodd Road, Trevanion Street and Barnstaple Road are named after Brent Clements Rodd and members of his family. A few streets take their name from local residents, including Mackaness Close and Langsworth Way. The Great White Fleet visited Sydney in August 1908 and several local street names recall ships in the fleet. Connecticut Avenue is named after the USS Connecticut (BB-18). Illinois Street is named after the USS Illinois (BB-7). Minnesota Avenue takes its name from the USS Minnesota (BB-22). New Jersey Road takes its name from the USS New Jersey (BB-16). A few streets are named after prominent people: Queens Road after Queen Victoria; Garfield Avenue after American President James Garfield, Kingsford Avenue after Charles Kingsford Smith, Bevin Avenue after Ernest Bevin and Henry Lawson Avenue after Henry Lawson, who lived on Great North Road briefly in 1922. The name of Coronation Avenue commemorates the coronation of King George VI. St Alban's Anglican Church is a 1924 Gothic church, constructed of brick and stone. It is well-built church, using locally quarried stone, and remains very well preserved. It is a heritage item and is listed in the Department of the Environment and Heritage's Australian Heritage database. Significant or attractive features of the church include its interior carpentry, the pipe organ (which dates from 1891 and was built by W. Davidson) and its stained glass. Some of the stained glass was transferred from the earlier church on the site and dates from around 1909. St Alban's rectory is on the same large site as the church, and together they form an important group. The foundations of the rectory, like those of the church, are constructed of local stone. In 2008 the church was part of an amalgamation with the Parishes of Ashfield and Haberfield, forming Christ Church Inner West Anglican Community. All Hallows' Parish School, Domremy College, Five Dock Public School, Lucas Gardens School, Rosebank College. The foundation stone of Five Dock Public School was laid in the grounds of St Albans church in 1858, and it opened in 1861. Peter Dodds McCormick who composed the national anthem of Australia, Advance Australia Fair, was the headmaster of Five Dock Public School in 1865. Named after Joan of Arc's birthplace, Domremy, Domremy College is a Catholic Secondary School for girls. It is located on First Avenue, opposite Five Dock Park. The school was founded in 1911, initially having just 12 students. The school originally taught students from infants through to the end of senior school. This was later scaled back to just years 7 to 10. However, since 1985, the school has taught girls from year 7 through to year 12. The Domremy Convent group is listed on the NSW Heritage Office State Heritage Register. Housing in Five Dock consists mainly of detached dwellings. Like many suburbs in the inner-west of Sydney, Five Dock has some well-preserved examples of Australian Federation architecture and California Bungalow style residences. Many of these homes have been renovated however, and have not retained all of their original features. In the 1920s, the area experienced a housing boom and many older houses date from around this period. In addition, there is a diverse range of other architectural styles to be found in Five Dock, including many with an Italian or Greek influence. These are typically large brick constructions with big gardens and often featuring ornamental decorations such as arches, columns and statuettes. The majority of dwellings in Five Dock are detached houses, frequently with generously sized gardens. According to the 2001 census, of the 3,176 dwellings in the suburb, 1,718 consist of separate houses, 397 are other types of houses and 746 are apartments. Despite the preponderance of houses, Post-World War II development has involved a high proportion of apartment construction. Recently, several major residential developments have been completed. An example is the 'Pendium' development in Garfield Street, which includes 102 apartments, a refurbished supermarket and the local library. Another recent example is the redevelopment of the former EnergyAustralia site in Fairlight Street into 93 units . As of October 2005, there are a total of 51 items in the suburb that are heritage listed by the NSW Heritage Office . In addition, the skateboard track in Five Dock Park is being considered for listing as a heritage item under the State Heritage Items Project . The Five Dock retail and commercial centre is made up of a long line of shops, banks, restaurants and other services which run for about 500 metres along Great North Road in a section between Lyons Road and Queens Road. It features a high proportion of small local businesses, which range from hairdressers, florists and dentists to hardware stores, accountants, delis and restaurants. During 2003 and 2004, Canada Bay Council finished enhancements to the shopping strip by burying overhead electrical cables and phone lines, widening, repaving and fencing off footpaths, planting new trees and installing new street furniture. This has reinforced the emergence of this section of Great North Road as a cafe and restaurant strip. The Five Dock telephone exchange is located at 190-192 Great North Road. Five Dock has two separate stretches of publicly accessible foreshore on the Parramatta River. One of these foreshore stretches constitutes a small section of the Bay Run, a popular 7 km walking and cycling track which passes through several other suburbs along its way around Iron Cove. The other foreshore area lies on Hen and Chicken Bay and Kings Bay, and features a pedestrian and bike path leading around the bay towards Abbotsford. In addition, there are several public parks located around Five Dock, the three largest being Timbrell Park, Five Dock Park and Halliday Park. A large section of Barnwell Park Golf Course, which is owned by Canada Bay Council, is located in Five Dock. The northern part of the golf course lies on reclaimed land. Five Dock Park is listed on the NSW Heritage Office State Heritage Register and centres around The Five Dock War Memorial. The plaque at the memorial says that the foundation stone was laid in 1923. The memorial was renovated and rededicated in 1987. The park also contains a number of recreational facilities, including a large skate boarding area, a bowling club, tennis courts, an oval (used for junior rugby league matches and cricket), childcare facilities and an off-leash area for dogs. Originally constructed in 1979, the park's skate boarding and bmx area was extremely popular during the 1980s but gradually fell into disrepair. An article published in the Village Voice in 2002 said the National Skateboarders' Association had nominated Five Dock skate park as one of the three worst in NSW because it was in such a poor condition, with a subsequent article discussing calls for its upgrade. The new skatepark opened in 2007 was built next to the 'old bowl' and was designed by Mick Mulhall.. The major regional roads that run through or adjoin Five Dock include Parramatta Road, Lyons Road, Queens Road, Great North Road and the City West Link. Five Dock is well-connected to the city centre and surrounding suburbs by public Sydney bus routes. The closest CityRail railway stations to Five Dock are Ashfield and Croydon; both being just over 2.5 km from the main shopping centre. The major suburban station of Strathfield is also within fairly close driving distance. Croydon Station was originally named Five Dock Station when it opened in 1875. The name was changed to Croydon soon afterwards. There are ferry services to the city from the nearby suburbs of Drummoyne, Chiswick and Abbotsford. Five Dock is an established suburb with a population of over 7,900 in the 2006 census. Like the nearby suburbs of Haberfield and Leichhardt, Five Dock has a large population of Italian immigrants. According to the 2006 census more than 1 in 4 residents claim Italian ancestry and roughly 12% of the population was born in Italy. This Italian influence is reflected in several ways, for instance in the style of the suburb's restaurants, cafes and delis. Five Dock Public School has had an Italian language teaching program since 1981 and there are local private language schools offering Italian classes. In addition, Five Dock has an annual street festival called Ferragosto, based on the traditional Italian festival of the same name. John Harris, a military surgeon and magistrate, one of the first European landowners. Samuel Lyons, a former convict who became a wealthy landowner and prominent citizen, purchasing Five Dock Farm in 1838. Sir Thomas Henley, alderman and mayor of Drummoyne who was largely responsible for the reuniting of Five Dock and Drummoyne Councils in 1902. Peter Dodds McCormick, the composer of Advance Australia Fair, became headmaster of Five Dock Public School in 1865. Jeff Fenech, the Australian boxer, is from Five Dock . Five Dock is in the federal seat of Reid, an electoral division which includes the surrounding suburbs of Burwood, Concord, Drummoyne, Haberfield, Homebush, Mortlake, Rhodes and Strathfield. It is a marginal Labor seat which has been held by John Murphy since 1998. In the NSW parliament, Five Dock is in the electoral division of Drummoyne, which is somewhat smaller than the federal division, but occupies much of the same area. Older style shops on Garfield Street with new development in the background. ^ Approximate measurements made using Sydney and Blue Mountains 2004 Street Directory, UBD, 40th Edition, ISBN 0-7319-1465-1 and Bikely. ^ "Entry AHD102001". Australian Heritage Database. Department of Sustainability, Environment, Water, Population and Communities. http://www.environment.gov.au/cgi-bin/ahdb/search.pl?mode=place_detail;place_id=102001. ^ Smith, Joseph (28 December 2007). "New Year = New Parish". Southern Cross (The Anglican Diocese of Sydney). ISSN 1445-0089. http://www.sydneyanglicans.net/news/stories/new_year_new_parish/. ^ "RELIGIOUS MEMORANDA.". The Sydney Morning Herald (NSW): p. 5. 9 October 1858. http://nla.gov.au/nla.news-article13015840. Retrieved 26 May 2011. Blaxell, Gregory. The River: Sydney Cove to Parramatta. Eastwood, N.S.W. : Brush Farm Historical Society, 2004. ISBN 0-9751419-1-0. O'Mara, Jean (honours thesis). Guarding Five Dock: a study of the Five Dock Locality of the New Guard, 1930-1935. Drummoyne, N.S.W. 1997. Pollon, Francis (compiler). The Book of Sydney Suburbs. North Ryde, N.S.W. : Angus & Robertson, Revised Edition, 1991. ISBN 0-207-14495-8. Russell, Eric. Drummoyne: a western suburbs' history from 1794. Drummoyne, N.S.W. : Council of the Municipality of Drummoyne, Second Edition, 1982. ISBN 0-9599312-1-X. "Canada Bay Suburbs". The Sydney Inner West Virtual Library (SIWVL). Archived from the original on 15 June 2005. http://web.archive.org/web/20050615183740/http://www.siwvl.nsw.gov.au/libraries/canadabay/suburbs.html. Retrieved 25 June 2005. "Wann-gal". The Sydney Inner West Virtual Library (SIWVL). Archived from the original on 15 June 2005. http://web.archive.org/web/20050615183850/http://www.siwvl.nsw.gov.au/libraries/canadabay/wangal.html. Retrieved 25 June 2005. "The Surgeon John Harris". John Harris Lindsay. http://www.technispec.com/jhl/jharris.htm. Retrieved 29 June 2005. "Cadigal Wangal: People of the Cook's River". Marrickville City Council. http://www.cadigalwangal.com.au/. Retrieved 29 June 2005. "Shaping Our Cities: A Planning Strategy for the Greater Metropolitan Region (1988)". NSW Government Department of Planning. http://www.planning.nsw.gov.au/plansforaction/metroplanning.html. Retrieved 21 September 2005. "Historical Highlights for Five Dock Public School". Department of Education and Training - Schools Hosting. Archived from the original on 9 February 2006. http://web.archive.org/web/20060209084105/http://www.fivedock-p.schools.nsw.edu.au/history.html. Retrieved 23 September 2005. This page uses content from the English language Wikipedia. The original content was at Five Dock, New South Wales. The list of authors can be seen in the page history. As with this Familypedia wiki, the content of Wikipedia is available under the Creative Commons License.